There is $62.5 billion-worth of value in our discarded electronic items worldwide. By harvesting this valuable resource, we will generate substantially less CO2 emissions when compared to mining the earth’s crust for fresh minerals. It makes sense too - there is 100 times more gold in a tonne of mobile phones than in a tonne of gold ore. Extending the life of electronic products and re-using electrical components brings an even larger economic benefit, as working devices are certainly worth more than the materials they contain. 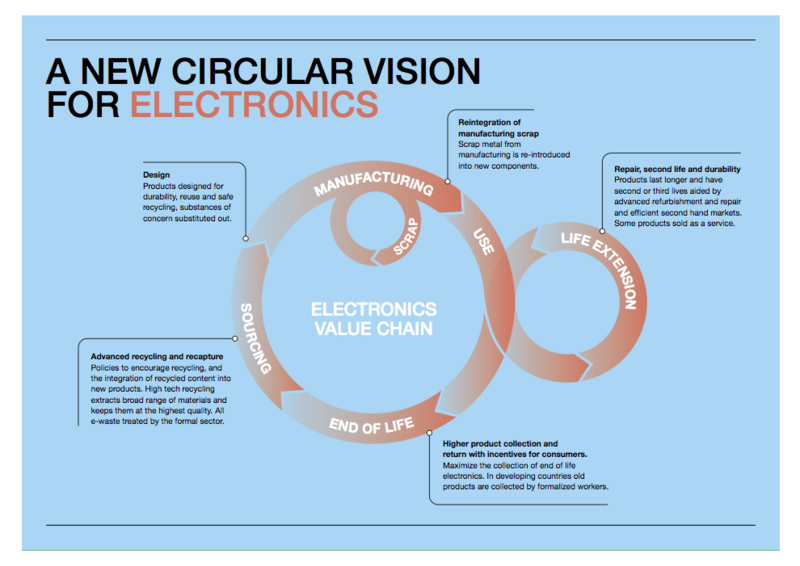 A circular electronics system - one in which resources are not extracted, used and wasted, but re-used in countless ways - creates decent, sustainable jobs and retains more value in the industry. It is hard to imagine even 50 million tonnes, yet this is equivalent in weight to all the commercial aircraft we have ever built throughout history, or 4,500 Eiffel Towers, enough to cover an area the size of Manhattan - and that’s just one year’s worth of the e-waste we create. We don’t want precious minerals and metals to be the new plastic. E-waste is not pollution, nor is it waste - it’s a vital resource we are only just starting to value in full. Could wood-based computer chips solve the e-waste crisis?